Acylic Stands showcase your restaurant's specials to customers while they dine. Durable two sided Acrylic Stands hold two printed pages showcasing your restaurant's specials and promotions to your customers while they dine. Minimum order 6 pieces. Available in our quick ship program. All clear acrylic table tent has three sides to fit 4" x 6" inserts. Bottom loading. Acrylic Frame with Screws holds one or two 4x6 inserts. Two sided acrylic table tent has swivel base and holds two 4" x 6" inserts. Acrylic Stands 4" x 6"
Promote your in-house specials with our two sided Acrylic Stand. Top loading. Offered in three popular sizes. Minimum order 6 pieces. This item is available in our quick ship program. 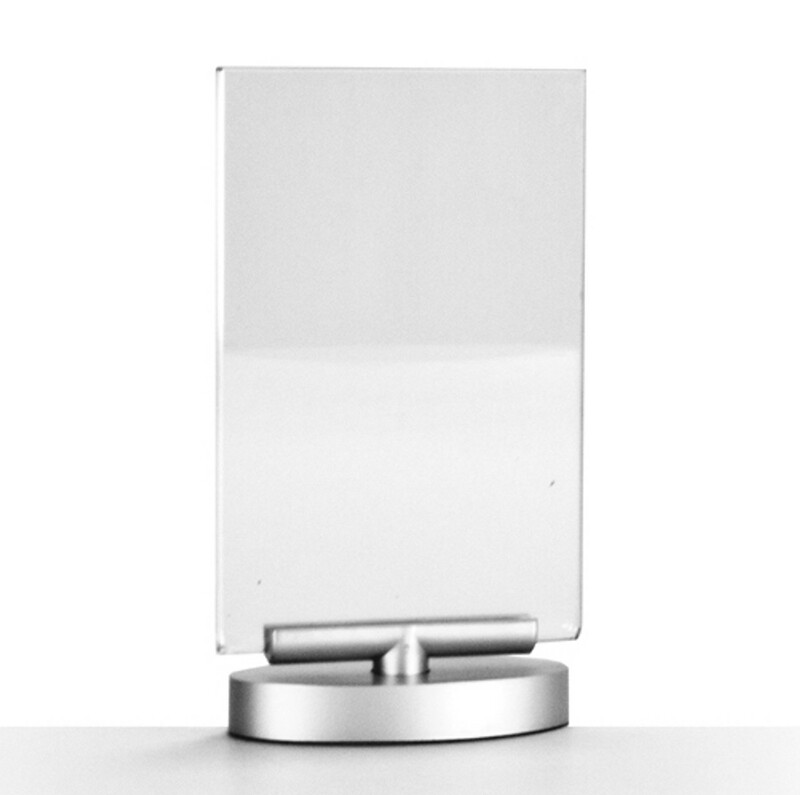 Acrylic Stand 5" x 7"
Promote your in-house specials with our two sided Acrylic Stand 5" x 7". Minimum order 6 pieces. This item is available in our quick ship program. Acrylic Stand 8.5" x 11"
Promote your in-house specials with our two sided Acrylic Stand 8.5" x 11". Minimum order 6 pieces. This item is available in our quick ship program.